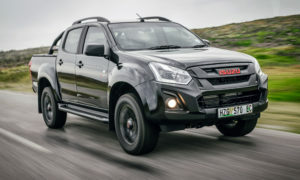 Isuzu Motors South Africa recently announced a name change to the popular Isuzu workhorse and leisure bakkies to the already famous and internationally accepted D-Max model popularised in Thailand for the design and aptly characterised due to Isuzu bakkies versatility, design, performance and technology. 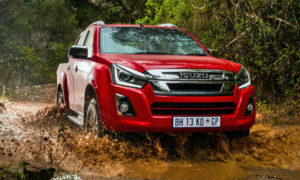 Isuzu SA is keen on deepening roots locally by offering a wider more extensive range for both entry level work horses and upmarket higher LX range that is offered on the Regular, Extended and Crew Cab. The idea to offer more on the LX Models especially on the lifestyle Crew Cab range. 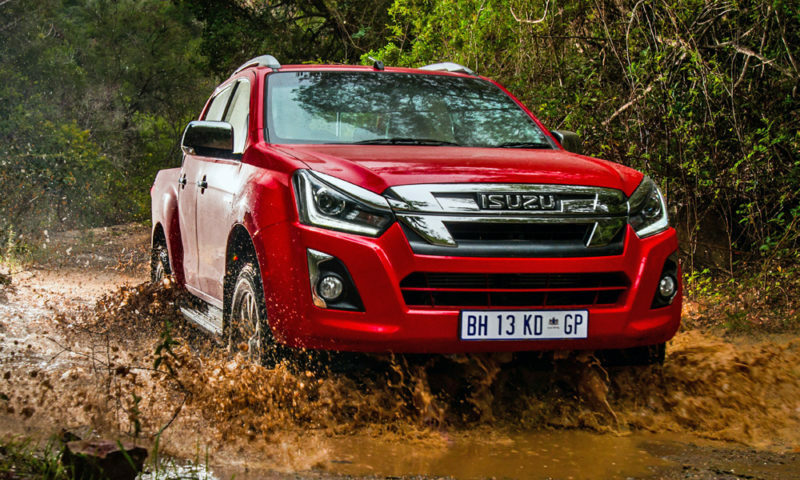 The D-max brings in a fresh look and feel to the much loved Isuzu range, starting with design aesthetics from the iconic front grille adding a chrome finish and lights re-design to reflect a muscular appearance and adding a BI-LED with LED Driving lights. Inside the bakkie every detail is taken into account to please the eye starting with the D-max logo on the Utility box, smooth grain design, piano styled finish on air vent grilles and window stitches. Chrome finish on door handles, air vent and locking controls as well upgrade to the Infotainment system. The D-max includes performance upgrades on the LX models changing from a 5 speed to a 6 Speed optimised, more powerful and fuel efficient consumption conscious gearbox. The Automatic gearbox defines smooth, refined shifting with fantastic response. More focus on safety for the D-Max models with a new feature on the LX models, Brake override System (BOS) effectively assisting in emergency stopping. Another feature is the Trailer Sway control (TSC) in conjunction with the Electronic Stability Control making those holidays trips safer without reducing on the already impressive safety features. 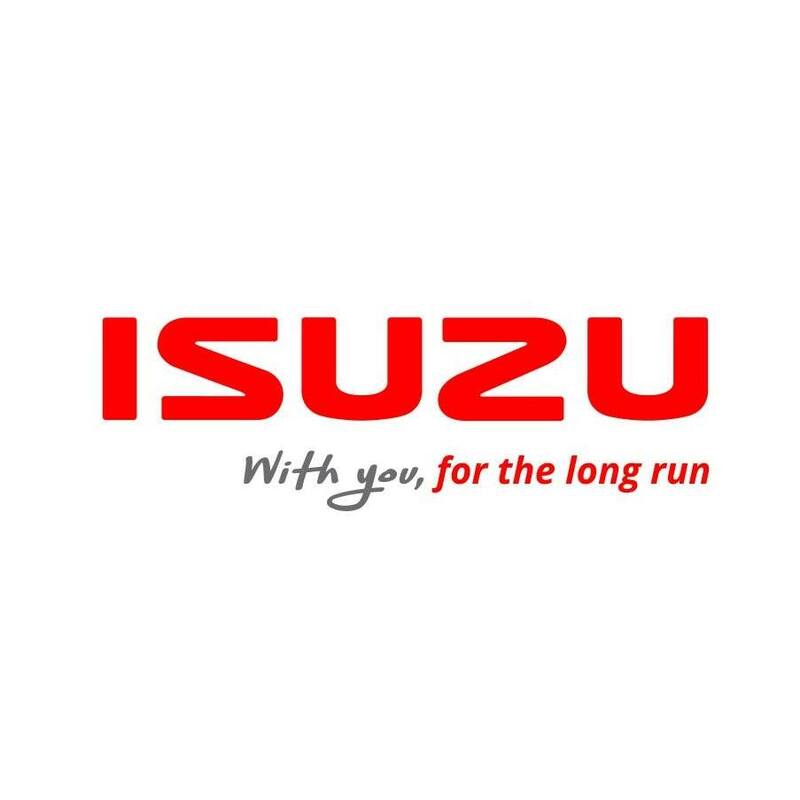 With confidence Isuzu maintains their complete care programme offering a comprehensive 5 Year or 120 000km Warranty and Roadside assistance as well as 5 Year or 90 000km Service plan. Come view the New Isuzu D-Max models at CMH Isuzu Umhlanga, 6 Sunset crescent in Umhlanga Ridge or call us on 0872502103.